Comments: The Israel Aircraft Industries Kfir (Hebrew: כְּפִיר, "Lion Cub") is an Israeli-built all-weather, multirole combat aircraft based on a modified French Dassault Mirage 5 airframe, with Israeli avionics and an Israeli-built version of the General Electric J79 turbojet engine.The project that would ultimately give birth to the Kfir can be traced back to Israel's need for adapting the Dassault Mirage IIIC to the specific requirements of the Israeli Air Force (IAF). 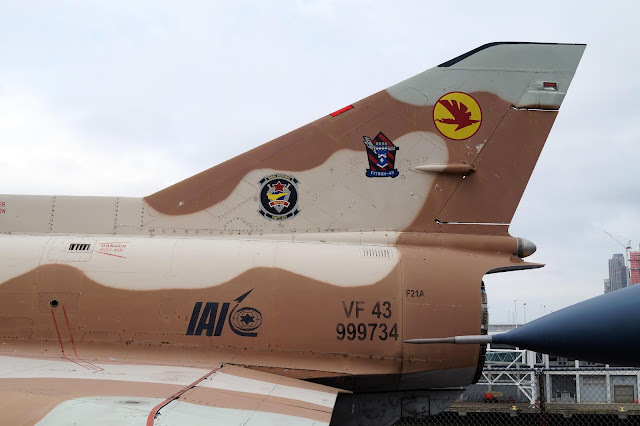 The all-weather, delta-winged Mirage IIICJ was the first Mach 2 aircraft acquired by Israel from then close ally France, and constituted the backbone of the IAF during most of the 1960s, until the arrival of theDouglas A-4 Skyhawk and, most importantly, the McDonnell Douglas F-4 Phantom II, by the end of the decade. While the Mirage IIICJ proved to be extremely effective in the air-superiority role, its relatively short range of action imposed some limitations on its usefulness as a ground-attack aircraft. Thus, in the mid-1960s, at the request of Israel, Dassault Aviation began developing the Mirage 5, a fair-weather, ground-attack version of the Mirage III. Following the suggestions made by the Israelis, advanced avionics located behind the cockpit were removed, allowing the aircraft to increase its fuel-carrying capacity while reducing maintenance costs. 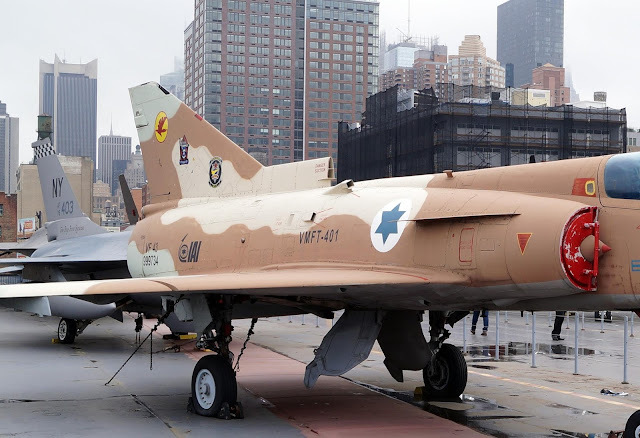 By 1968, Dassault had finished production of the 50 Mirage 5Js paid for by Israel, but an arms embargo imposed upon Israel by the French government in 1967 prevented deliveries from taking place. 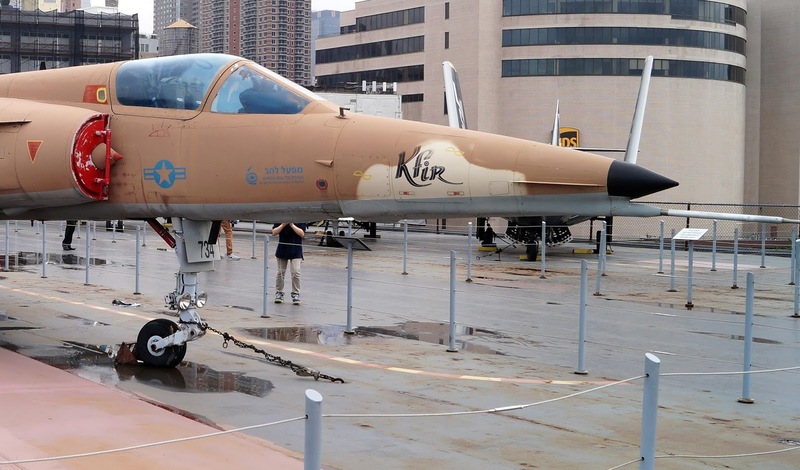 The Israelis replied by producing an unlicensed copy of the Mirage 5, the Nesher, with technical specifications for both the airframe and the engine obtained by Israeli spies. 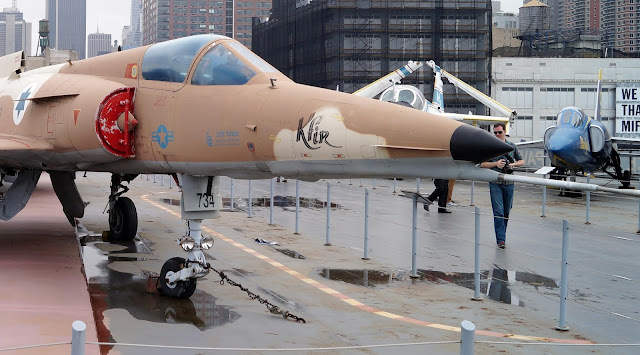 Some sources claim Israel received 50 Mirage 5s in crates from French Air Force (AdA), while the AdA took over the 50 aircraft originally intended for Israel.The Kfir programme originated in the quest to develop a more capable version of the IAI Nesher, which was already in series production. 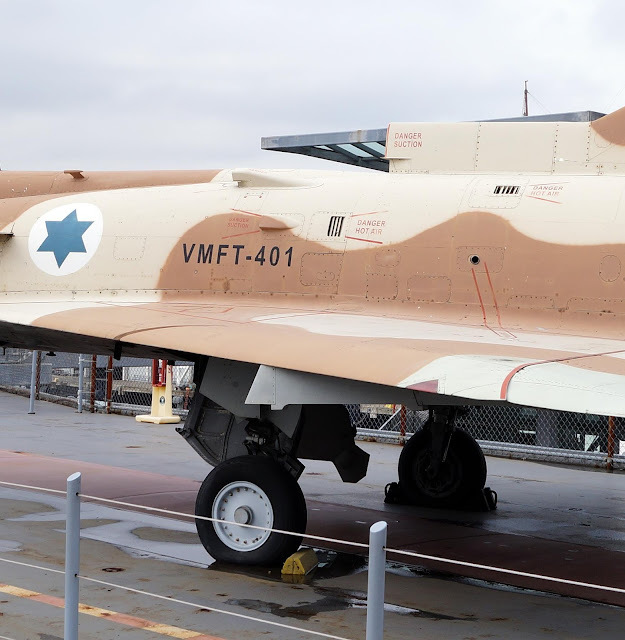 After General De Gaulle embargoed the sale of arms to Israel, the IAF feared that it might not have an upper hand over its adversaries in the future, which were receiving increasingly advanced Soviet aircraft. 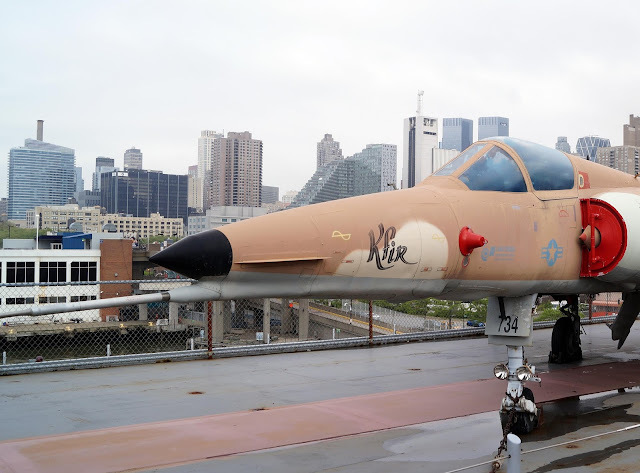 The bulk of the Israeli Air Force had been locked into the Mirage but was quickly facing problems because Mirage numbers were somewhat depleted after the Six-Day War. Domestic production would avoid the problem of the embargo completely; efforts to reverse engineer and reproduce components of the Mirage were aided by Israeli espionage efforts to obtain technical assistance and blueprints from third party Mirage operators. Two powerplants were initially selected for trials, the General Electric J79 turbojet and the Rolls-Royce Spey turbofan. 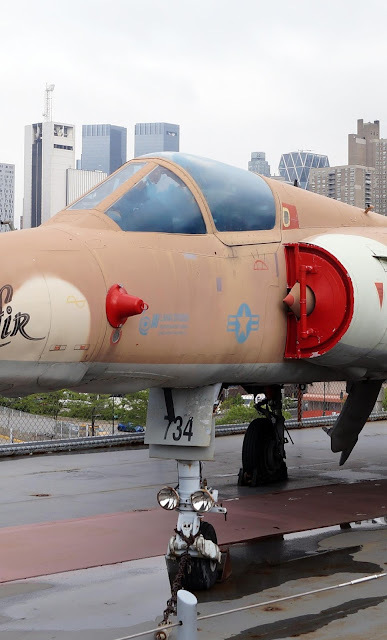 In the end, the J79 was selected, not least because it was the same engine used on the McDonnell DouglasF-4 Phantom II, which the Israelis began to acquire from the United States in 1969, along with a license to produce the J79 themselves. The J79 was clearly superior to the original French Atar 09, providing a dry thrust of 49 kN (11,000 lbf) and an afterburning thrust of 83.4 kN (18,750 lbf). In order to accommodate the new powerplant on the Mirage III's airframe, and to deliver the added cooling required by the J79, the aircraft's rear fuselage was slightly shortened and widened, its air intakes were enlarged, and a large air inlet was installed at the base of the vertical stabilizer, so as to supply the extra cooling needed for the afterburner. The engine itself was encased in a titanium heatshield.